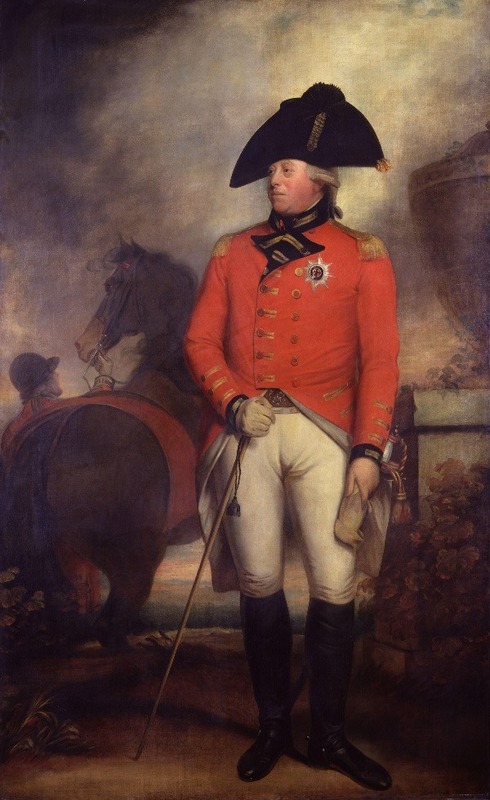 On this day in history, June 4, 1738, King George III is born. He would become the 3rd longest reigning monarch of Great Britain and oversee the loss of Britain's American colonies during the American Revolution. George William Frederick was the grandson of George II of England. He became heir to the throne when his father died in 1751. As the heir-apparent, George lived a life of luxury as a child, but also received an intense education in politics, astronomy, chemistry, geography, history, music, math and law. George II died on October 25, 1760 and George III claimed the throne at the age of 22, during the middle of the French and Indian War. Britain soon won the war, claiming vast swaths of North America from France. The downside of the victory was the great cost involved with governing such a huge territory. Parliament saw it as necessary that the Americans should pay for their own defense and government and began instituting a series of taxes to pay for it, turning the Americans against them. George is viewed as a tyrant by most Americans due to the propagandistic nature of the Declaration of Independence and other incendiary language of the Founding Fathers, but this view is not really accurate. George was not a tyrant in the sense of an evil monster bent on pillaging and destruction for his own personal gain. Instead, George viewed the war with America as upholding the Constitutional rights of the people of England through their elected Parliament. George did not make the policies of Great Britain during the American Revolution, but instead assented to the wishes of various officers and committees of Parliament. The King of England did not have absolute power. Instead, most of the power rested in the hands of Parliament. After the colonies were lost, Britain entered a protracted war with France during the time of the French Revolution and after. George held up the standard against France and was viewed as a hero to most Englishmen during that period. 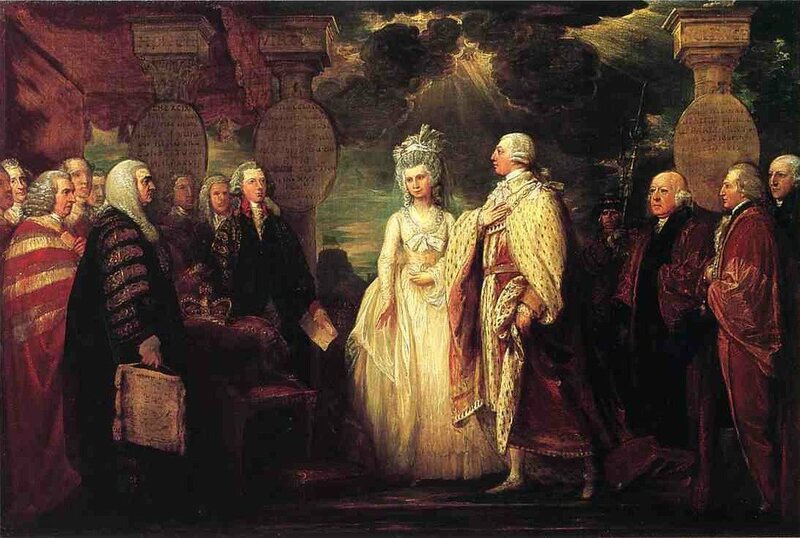 George married Princess Charlotte of Mecklenburg-Strelitz in 1761. By all accounts, they had a happy marriage. He was completely faithful to her and never had the usual string of mistresses common to other British monarchs. They had 15 children together. George began to suffer from mental illness around 1765 and for periods of time he would be incapacitated and engage in bizarre behavior. The longest instance occurred in 1788, when he was known to talk nonsense for hours at a time. By 1810, the illness was permanent and George was completely deranged for the last ten years of his monarchy. His faithful wife Charlotte tended him until her death in 1818. Some historians believe George suffered from a disease called porphyria which can lead to mental illness. He finally passed away in 1820 and his son, George IV, who ruled in his place as Regent during the time of his father's illness, took the throne. George III reigned for 59 years, longer than any other British monarchs with the exception of the present Queen Elizabeth and Queen Victoria. He is remembered for the loss of the American colonies, but also for standing against France during the years of the French Revolution. George is also remembered for being a patron of the arts and sciences. He collected artwork and books, encouraged agricultural science and oversaw England's Agricultural Revolution and the beginnings of the Industrial Revolution. Of course the one thing he is most remembered for though, is the loss of the 13 colonies in America.